We had a relaxed morning. I woke up early, with Bubs, but he hadn’t woken during the night, so I felt well-rested. Curly woke early too, and played with Bubs, pushing him around in a plastic crate. Kitkat and Nature Boy slept in until 8. It was a good day not to be at school. Bible – we read about the healing of the centurion’s son and the raising of the widow’s son. Astronomy – stars – learning about the different types of stars, as well as black holes and supernovas, and the characteristics of our sun compared to other stars. It turns out our sun is very average: in size, brightness and heat. It is stable, and it is a single rather than binary star. It is perfect! Reading with K and M – We read ‘Smudge, the little lost lamb’ by James Herriot: one of my favourite Herriot stories. It reminds me of the parable of the lost sheep. Writing – writing letters to Nan and Poppa (my grandparents who live in Australia). We also went for a walk down the lane, in the rain. We saw sheep, and foxgloves, and leguminous plants that we don’t know the name for, but they reminded us of vetch. 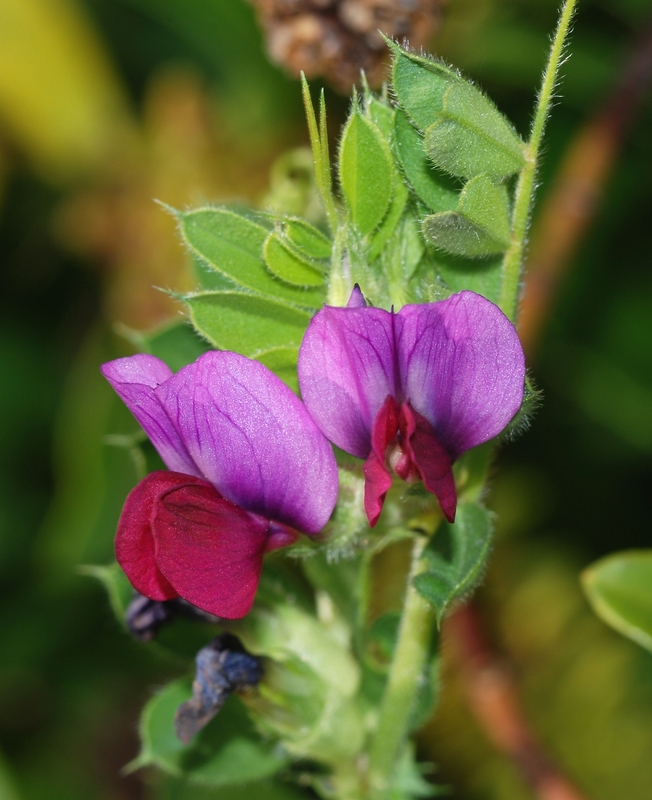 Vetch is a plain name for a pretty weed.